Changeling music is run by producer and composer Jamie Saxe whose career spans composing music for documentary, t,v series and feature film. 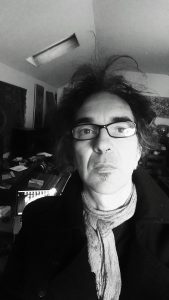 Together with Tom Silvester, he developed Metalbird music which focuses on commercials and short form music for film and advertising, working with clients in Australia, Germany and The United States. Jamie also founded kidsʼ band The Mighty bUZZniks who have released two albums with ABC music. He continues to collaborate and experiment on a range of musical projects including meditation music, art installation and producing and arranging for other artists. Tom and Jamie run two studios in Belgrave affectionately known as “The Cottage” and “The Bunker”.